Raising Jedi | A Magical Disney Trip is More than the Guest Assistance Card! Plus a Peek into The Season of The Force! We all want that experience. The day is over, the kid is nearly passed out. You make your way to the shuttle holding a sticky hand and you can’t wait to pour through the pictures on your phone. It was the best day. This can be a challenge to achieve when you have a kiddo with special needs. Although every child is different, these are the tips that I have compiled after years of trial and error. I have read a lot of stories and comments about how important a part the GAC plays in this experience. Believe me, it helps tremendously, but getting the most out of a trip to Disneyland is about more than the Guest Assistance Card. (GAC) I will go through the best way to use the GAC, but first, some other big stuff needs addressing. It is not enough to just plan to go during the off season, which is usually just after or before a school break begins or ends. Check Disney’s website for special events. For instance, if a Disney sponsored marathon is going on, it WILL be packed. Ask me how I know. Also, the slowest days of the week are always Tuesday- Thursday. I realized that the kids will miss school, but take them to, “Great Moments with Mr. Lincoln,” and BOOM! The trip just became educational. Does your child have food aversions? No need to sneak stuff into the park. Disney has no rules against you being your kid’s own personal sherpa and packing in their favorites. If you want a cool place to sit and eat, try the outdoor seating at Flo’s V8 Cafe in Cars land. (California Adventure) The food is pretty good and the kiddos can watch the Radiator Spring Racers go by at high speeds. Another neat thing about California Adventure… they serve booze. If you would rather stay on your toes, try a scoop of espresso ice cream at the Ghirardelli ice cream parlor. You are on vacation, so calories don’t count. However, if your kiddos like getting wet under their own terms, check out Dot’s Puddle Park (CA) in the Bug’s Land area. Disneyland: Color changing fountain found between the rockets and Pixie Hollow. California Adventure: Go through the gates and go straight ahead. Trust me, you can’t miss it. 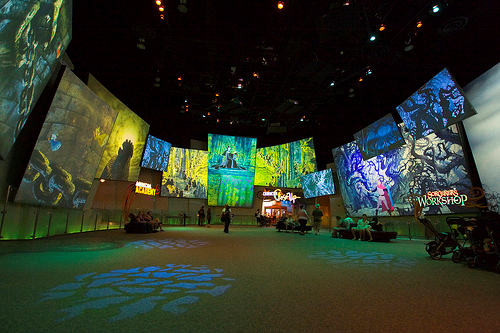 Best place to get it all out, or rest… hidden gem, The Animation Academy (CA). This huge room is never full, and always playing movies on giant screen. *Bonus Tip: If you want to see the Pixar parade, find a spot to watch near the Academy and slip in after the parade ends. Hang out there until the crowd disperses. Ok, it isn’t what it used to be. Before it got horribly abused by Sith, you used to just enter through the exit and hop right on. Now it takes a bit more planning. When you enter Guest Services at the front of both parks, they will set you up with the card and give you a map to kiosks around the park. At these kiosks, you will sign up for a ride. 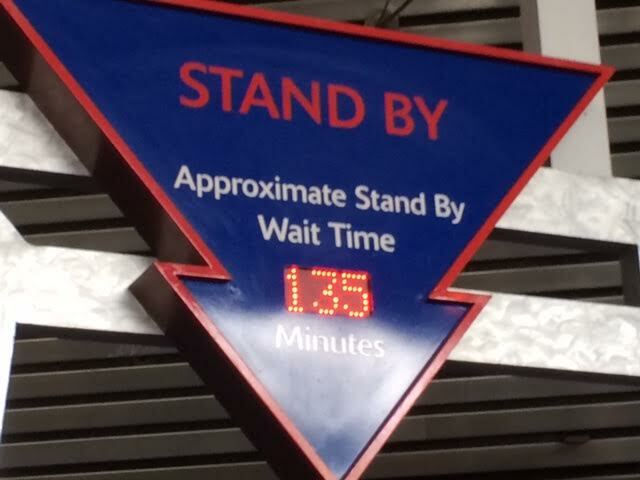 For instance, if you want to go on Star Tours, and the wait time is 30 minutes, you will get a return time of 30 minutes or less. You cannot show up for that ride before that time and you can only sign up for one ride at a time. So, you are still waiting, just not in line. The best tip that I can offer you for making this work for your family is this: DO NOT sign up for a second ride that is very close to the last. Make the walk the wait. If you just got off Peter Pan’s Flight, sign up for Pirate’s of the Caribbean, because it is a bit of a walk. Radiator Springs Racers always has a long wait so if you plan to hop from Disneyland to California Adventure, sign up for that on your way out, because the walk will burn up a lot of time. If you want to maximize the amount of rides that you can experience, have one parent run to get regular fast passes. If you don’t end up needing them, pass them to a stranger, and make their day more magical. 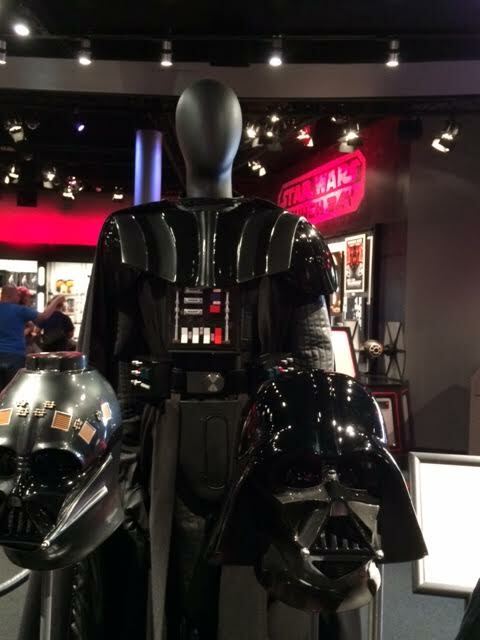 Now, as promised, your sneak peek at the SEASON of the FORCE! Tomorrowland is always the busiest of lands, and even more so lately. Space Mountain has been upgraded to HyperSpace Mountain. What does that mean? Well, let’s just say that if you ever fantasized about being in a dogfight with tie fighters, you might want to drop by. First get a fastpass because this is the longest wait time I have ever witnessed! 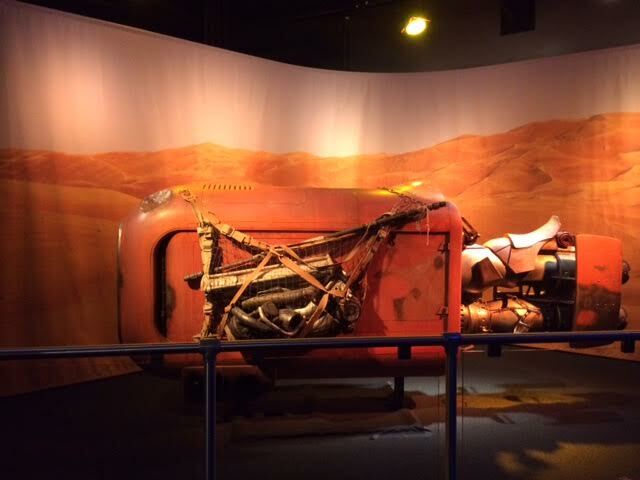 Star Tours has gotten a little Force Awakens bump. 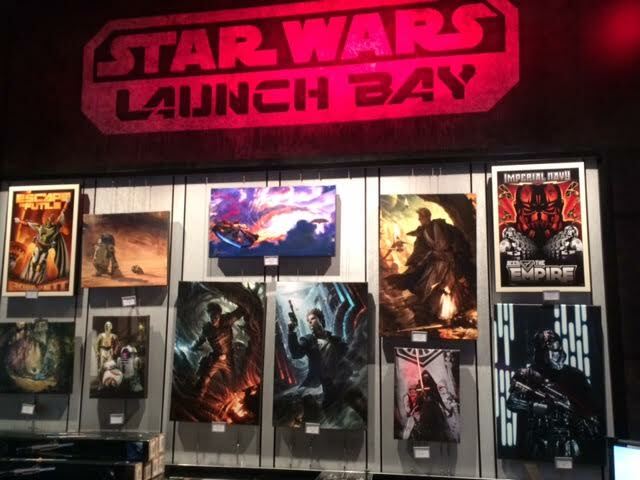 And the Launch Bay… well, take a peek! 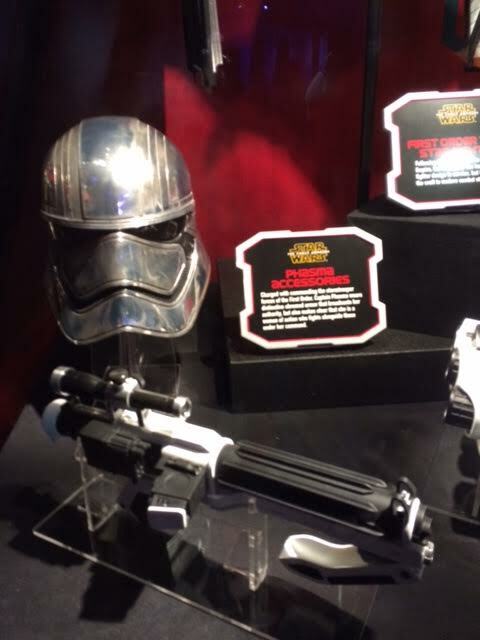 Phasma’s helmet along with lots of other costumes! 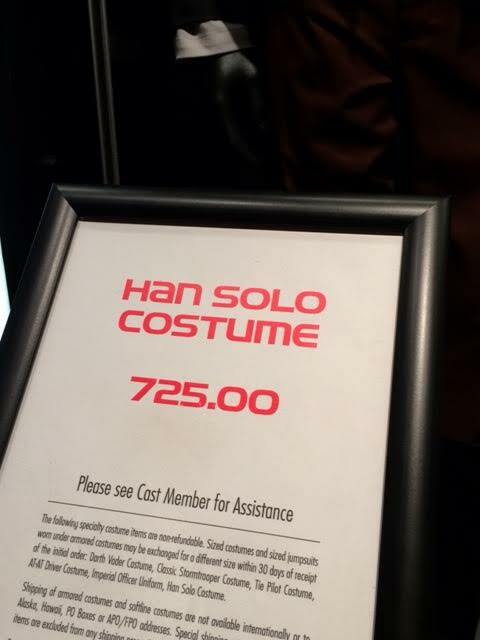 They even have some costumes for sale for those with deep pockets. Vader’s was a steal at 4k. Costume not pictured because I bought it for my hubby. Just kidding, but I wanted to. Hot! At the Launch Bay you could meet Star Wars characters, even hug a Wookiee. 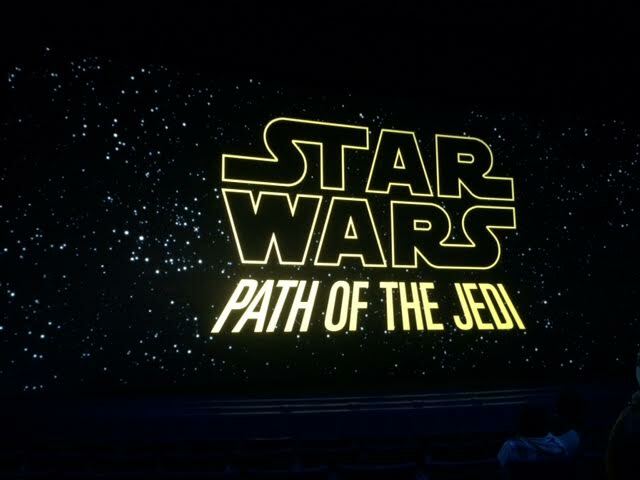 Last, but not least, visit the theater for a viewing of, “The Path of the Jedi.” Essentially, it is all the coolest parts of every Star Wars movie condensed into about 15 minutes. I truly hope that these tips help you and your family to enjoy Disneyland so that you too can call it the Happiest Place on Earth! If I missed anything, please leave your own tips in the comments. We are all in this together! As always, May the Force, (and Disney Magic) be with you! Tagged autism, disney, disneyland, Guest assistance card, jedi, Launch Bay, parenting, Season of the Force, special needs, Star Wars, travel, vacation. Bookmark the permalink.